Spring has arrived this month after what has been a fairly moderate winter for most of us. (The notable exception to this unusually restrained winder was of course blizzard “Stella” which inundated the northeast with incapacitating snowfalls.) And as happens every spring, many motorists will see the warmer temperatures as a cue to take their motorcycles out onto the open road. However, as unnerving as this fact may be for some drivers of four-wheel vehicles and greater, motorcycle riders are a fact of life on our roadways. Moreover, even though their presence may pose a challenge to our ability to see them clearly, motorcyclists are entitled to every consideration that is due to other kinds of drivers. 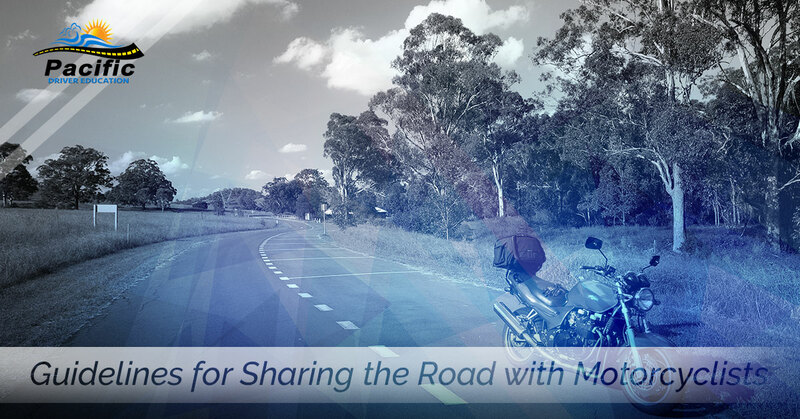 Because we know that you want to do your best to assure that our roadways remain safe for all vehicles, we would like to offer you some guidelines on sharing the roadways with motorcyclists. Motorcycles are vehicles: Even though they may be smaller and relatively more fragile than other kinds of vehicles, motorcycles have the same rights and privileges as any car, SUV or truck. Give motorcyclists extra room: Give motorcyclists the width of a full lane. Motorcyclists need the extra room in order to maneuver. Do not share a lane with them. Check your blind spot often: Because they are smaller, motorcycles can easily hide in a vehicle’s blind spot. Be sure to visually check for motorcycles when you are changing lanes, entering or leaving traffic and at intersections. Increase your following distance: We have all heard of the two second rule. Leave at least 4 seconds between yourself and a motorcyclist. This will give him/her the time he/she needs to stop in the event of an emergency. Watch out for riders who don’t follow the rules: Because their vehicles are more maneuverable than 4 wheeled vehicles, some motorcyclists speed excessively and/or weave in and out of traffic. Make a special effort to drive defensively when driving around motorcycles. Remember that motorcyclists face special road hazards: Because motorcyclists may have greater difficulty when navigating gravel, wet or slippery surfaces, make allowances for the fact that your vehicle may be able to handle such hazards more easily than theirs. According to the National Highway Traffic Safety Administration (NHTSA), 2015 saw an 8.3 percent rise in fatal motorcycle accidents over 2014. Our private driving lessons in Beaverton Oregon prepare you to be able to handle any contingency you may encounter on the road. Our instructors are DMV and ODOT certified and instill in you habits and knowledge that will make your trip and those who share the roadways with you safer. The next time you say to yourself, “who can teach me to drive in Portland Oregon,” consider our expert instruction.